A classic favorite. This women's bomber jacket features a water resistant outer layer with a fur-lined inner layer. Plus.. it has button pockets, a snug collar, and a top of the line, stylish full zipped front! Great quality jacket! Lightweight yet very warm with the inside fleece. Highly recommend it! Jennifer S. Reviewed by Jennifer S.
Jilann L. Reviewed by Jilann L.
Love this jacket, super cute and the fleece lining makes it a great pick for spring! 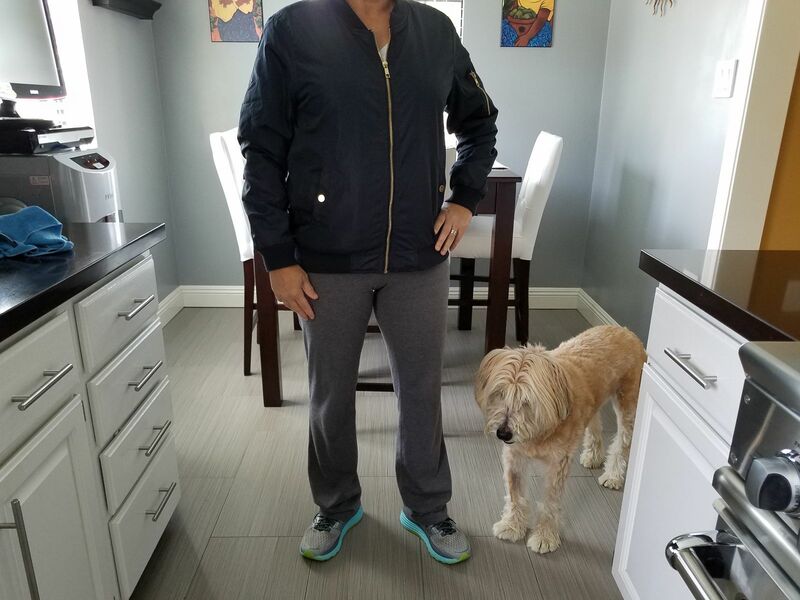 Kathryn M. Reviewed by Kathryn M.
The jacket is lined so its a warmer than I expected, perfect for early spring! The only thing is the zipper is a bit rough, not sure why it's just a bit scratchy. Bust 33.5" 34.5"-35.5" 36.5"-37.5" 39"-40.5" 42.5"-44.5" 44.5"-46.5"
Waist 26.5" 27.5"-28.5" 29.5"-30.5" 32"-33.5" 35.5"-37.5" 37.5"-39.5"
Hip 36.5" 37.5"-38.5" 39.5"-40.5" 42"-43.5" 45.5"-47.5" 47.5"-49.5"